QPR is not a form of counseling or treatment. Rather, it is intended to offer hope through positive action. 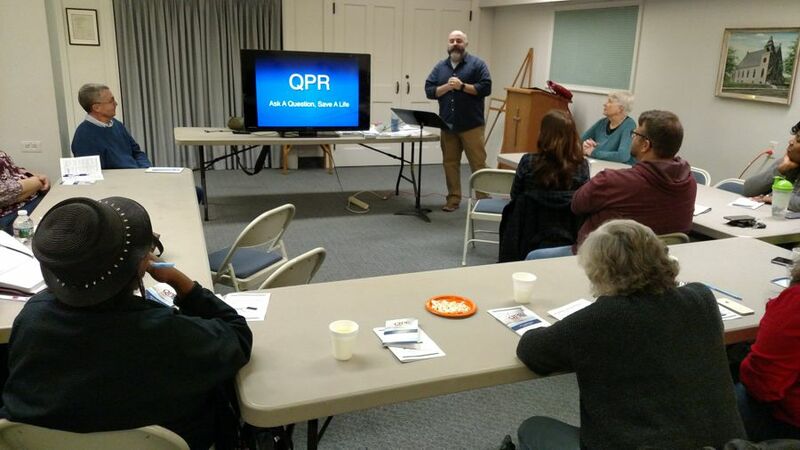 By learning QPR you will come to recognize the warning signs, clues, and suicidal communications of people in trouble, and gain skills to act vigorously to prevent a possible tragedy. Suicidal thoughts are common. Suicide threats and attempts are less common, but much more frequent than most people realize. Suicide is the most common psychiatric emergency and a leading cause of death in America and around the world. This means that the need for QPR knowledge also is common. If you are a middle-aged or older adult, you probably know someone who has made a suicide attempt. You may even know someone who died by suicide, and it is very likely you know someone who has thought, or is thinking, about suicide. If you are a professional caregiver, police officer, fireman, minister, priest, rabbit, school nurse, coach, teacher, youth leader, paramedic, high school counselor, case manager, volunteer or paid staff in any of a hundred different kinds of human service organizations, you very likely have had firsthand contact with suicidal people. The QPR method was developed specifically to detect and respond to anyone emitting suicide warning signs. To learn more or participate in a scheduled suicide prevention training program, visit the Montgomery County website at . . .